WHY IS THERE MOLD ON MY CEILING? 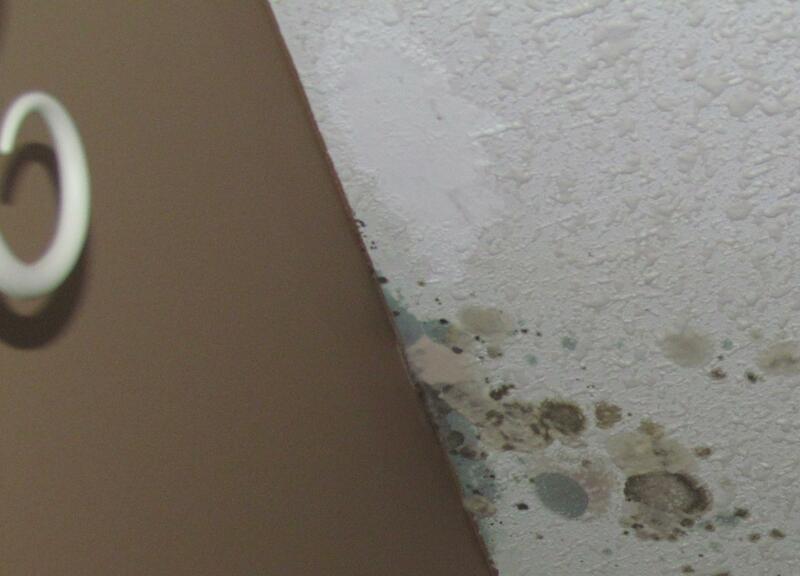 Mold requires moisture to grow. This moisture can form when the outside elements make their way in (intrusion) or when the inside air tries to get out (condensation). The picture of mold in this situation is from condensation. Upon discovering the mold the homeowner called me and I guessed right away that this was a problem caused by condensation forming above the ceiling and leaking back onto the drywall. I did consider that it might be something else but the lack of rain for several months led me to believe otherwise. A quick look in the attic above the affected area confirmed what the Thermal camera was telling me, there was a void in the insulation. The missing insulation would have been caused in one of two ways, it was never put there or it was blown back by high winds into the soffits. My guess it that the wind storm last summer blew the insulation back exposing the drywall in the ceiling and created a great spot for condensation to form and mold to grow. If the original insulator had not blown the insulation in properly, the mold would have shown up earlier. So the thing to take away from this is that the attic insulation is critical. It should be approximately 12″ thick or R-40 and it needs to be distributed evenly. 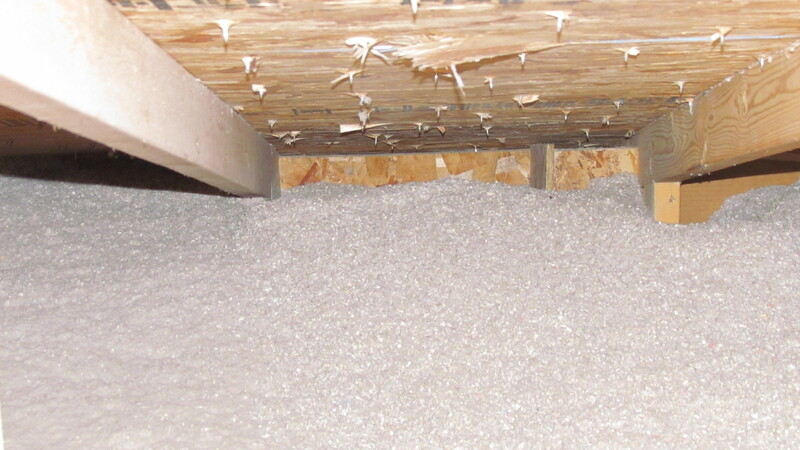 Make sure if you are in the attic that you look for frost which indicates heat loss and try not to disturb the insulation any more then necessary.